You might remember seeing the picture of Maria Kang , the self-titled “No Excuse Mom” in a sports bra and tight shorts holding a baby while two toddlers clung to her legs trending on your newsfeed a few years ago. It wasn’t the picture so much that had you asking questions, but rather her quote No Excuses. Many looked at her photo and were perplexed as to how a mother of 3 young children could have such a fit body, yet others like myself and Kara Sadler, area leader of the growing Cary No Excuse Mom, were willing to take the challenge of combining fitness and motherhood. What started as a fascination and trend grew into something more- a community of moms encouraging one another in fitness and motherhood. We all have our own story of what turned us to fitness. Motherhood was mine. I wanted to be healthier, stronger and be able to run and play with my kids. 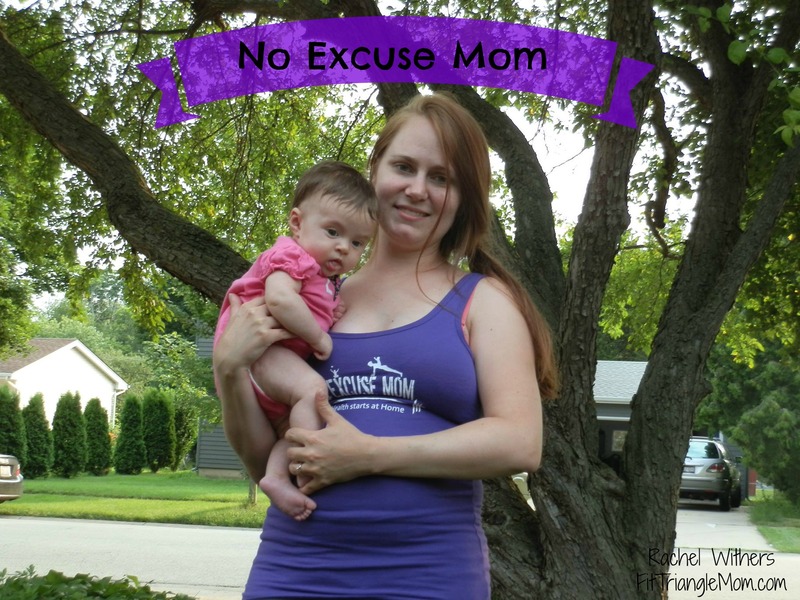 New mom and No Excuse Mom Area Leader, Kara Sadler shares her story and encourages other moms too. When I found out I was pregnant, I was a 28 year old restaurant manager with no intention on leading anything other than an independent lifestyle. This little speck on an ultrasound, however, changed all that and soon, I found myself wanting this new life wrought with dirty diapers, tear-filled, sleepless nights, and milk-scented perfume. While pregnancy and this squirming, smiling baby girl have brought on a host of new challenges, the most imminent to the then barely-pregnant me was the loss of my nearly three decades of a consistently slender and fit frame. That was when Facebook, the social media mind-reader it is, suggested I join a group called No Excuse Mom. This group – an international non-profit movement of women supporting one another in reaching their fitness goals – was exactly what I needed to stay motivated both during pregnancy and post-partum. When I first joined our local group, No Excuse Mom Cary, NC, it was a collection of 70 or so women all working toward one goal: the body they desired, all while managing the stress and chaos that is being “Mom”. After a few weeks, the group leader position opened and I decided I wanted to get more involved. Since then, the Cary group has grown to nearly 250 members throughout the Raleigh area. The group, in addition to web workouts and challenges, offers a minimum of two workouts each week: all free, and children (and dads!) are welcome at each. From group walks, to hour-long workouts and classes such as PiYo and Turbokick, we strive to offer a variety of opportunities throughout the area each month. In addition, because this is a group focused on support and forging relationships, we hold meet and greets, such as our upcoming Mom’s Night In-Wine and Chocolate Night and our Family Potluck. Welcoming our little girl into our family has changed and challenged us in so many ways, and encouraged me and her “No Excuse Dad” to better ourselves in ways we never thought possible. As I write this, I am a mere ten weeks post-partum and while the “old me” would never recognize this pony-tailed, spit-up laden new version of me, I am a slight two pounds away from my pre-pregnancy weight and a whole lot happier. My No Excuse Moms have encouraged and motivated me every step of the way and I could not have done this without them. The No Excuse Mom movement as a whole offers over 350 different workout groups in over 25 countries across the world. 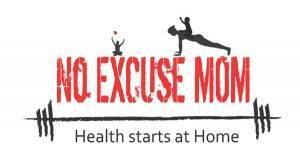 For more information on how to become a No Excuse Mom and for groups near you, visit the website at NoExcuseMom.com. Join the Cary group at No Excuse Mom Cary.